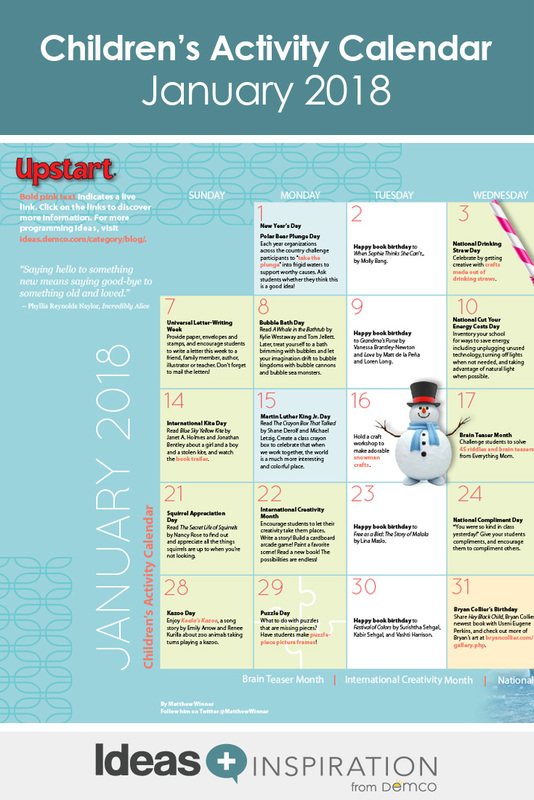 Usher in 2018 with books and activities that will get the new year off to an inspired start! 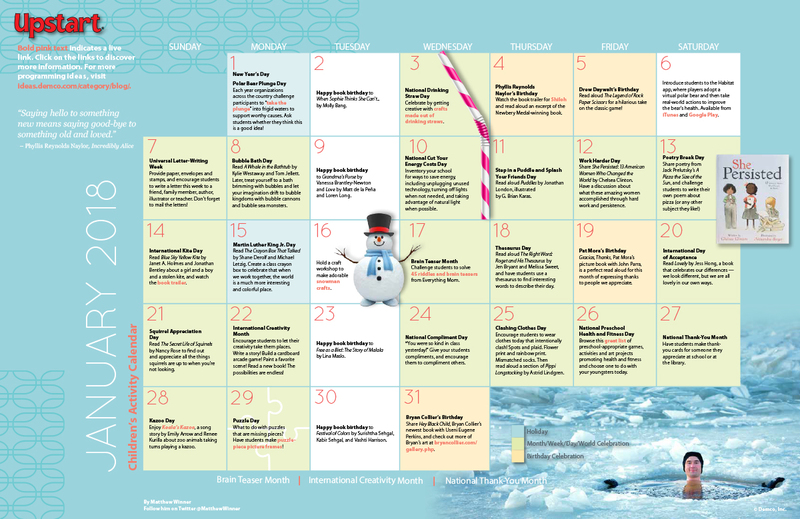 January is National Creativity Month, so encourage students to let their imaginations run wild while celebrating special days like Kazoo Day, Clashing Clothes Day and even Squirrel Appreciation Day. It’s also Brain Teaser Month and Thank-You Month. So throw on some mismatched socks, grab a pen and paper (and, of course, a good book), and let your creativity take you to new places this January!